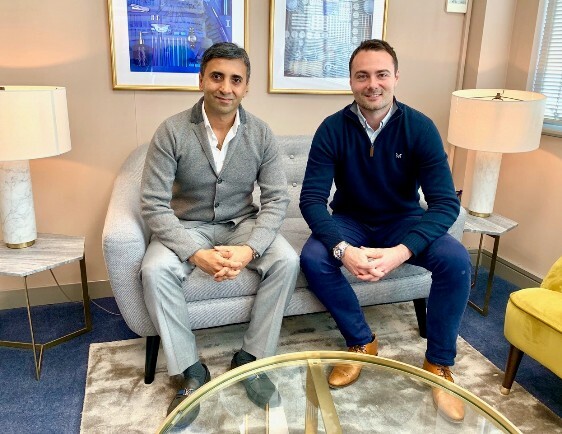 The Harrogate-based entrepreneur was shown alongside Tej Lalvani, who invested in the vitamin tea brand, negotiating an exciting new deal with national retailer Boots. Since TEA+ appeared on Dragon’s Den in February, the brand has relaunched boasting a brand-new look and a partnership with Vitabiotics, the UK’s #1 vitamin manufacturer. This investment has been a huge opportunity for the company to leverage the expertise and trusted brand name of Vitabiotics. Dawson launched TEA+ with wife Jade in 2016 when they left behind successful careers in Dubai to return to his hometown of Harrogate to start the business. TEA+ quickly saw success, winning multiple start up business awards with their industry first range of vitamin infused teas, containing up to 100% RDA of vitamins per tea bag. The company launched to capitalise on the changing culture of tea drinking in the UK as black tea sales fall and growth continues in the green and herbal sectors. The vitamin teas are already available in over 800 stores nationwide, including Holland & Barrett, Ocado, Whole Foods and many independent health food stores. The new partnership between TEA+ and Vitabiotics plan to roll this out to Boots and more retailers in the UK and internationally in the next 12 months. They are also available to buy online at teaplusdrinks.com and vitabiotics.com.